NEW YORK — Alan Colmes, the radio and television host and commentator best known as the amiable liberal foil to the conservative Sean Hannity on Fox News Channel, has died. Fox spokeswoman Dana Klinghoffer confirmed his death Thursday. Fox also aired a tribute to Colmes, narrated by Hannity, and a statement from his family saying that he died Thursday morning after "a brief illness." Colmes was 66 and is survived by his wife, Jocelyn Elise Crowley, the sister of longtime Fox News contributor Monica Crowley. In a statement issued through Fox, Hannity called Colmes "one of life's most decent, kind and wonderful people." Hannity also posted on Twitter to remember his former co-host. "Alan was a dear friend. I miss him dearly. Please pray for my friend and his family!" he wrote. Colmes was a New York City native and Hofstra University graduate who worked for years in radio, notably on WABC and WNBC in New York, and in standup comedy before joining Fox in 1996. That same year, he and Hannity began a 12-year run as co-hosts of the popular program "Hannity & Colmes," which brought Colmes both fame and ridicule. Colmes, who acknowledged that he was a minority voice on the conservative channel, was often mocked as being too nice and easily overshadowed by the ever-aggressive Hannity. The liberal media watchdog group Fairness and Accuracy in Media likened him to the hapless Washington Generals, the dependable losers to basketball's Harlem Globetrotters. In his best-selling book "Lies and the Lying Liars Who Tell Them," Sen. Al Franken, D-Minnesota, imagined Colmes' earning his salary by "adding toner to the copiers and printers, loofah-ing Roger Ailes in his personal steam room, and ordering Chinese food for editors working on misleading video packages." Colmes was aware of the criticism, but he said getting mean wasn't his style. "People say to me, 'Why don't you fight fire with fire?'" he said in 2003. "You fight fire with water, not fire." Pundits and colleagues on both sides of the aisle remembered Colmes on social media on Thursday, among them Republican political consultant Karl Rove, former Arkansas Gov. Mike Huckabee and conservative author Ann Coulter. "Sad. We had some great times on Hannity & Colmes. Alan Colmes was fair & funny while hewing to his core beliefs. Condolences to Jocelyn," wrote Kellyanne Conway, counselor to President Donald Trump. Passing of a kind-hearted, good man who stood for his principles. @AlanColmes, RIP. NBC News' Megyn Kelly, a Fox News host and contributor for 12 years, called Colmes a "positive force." 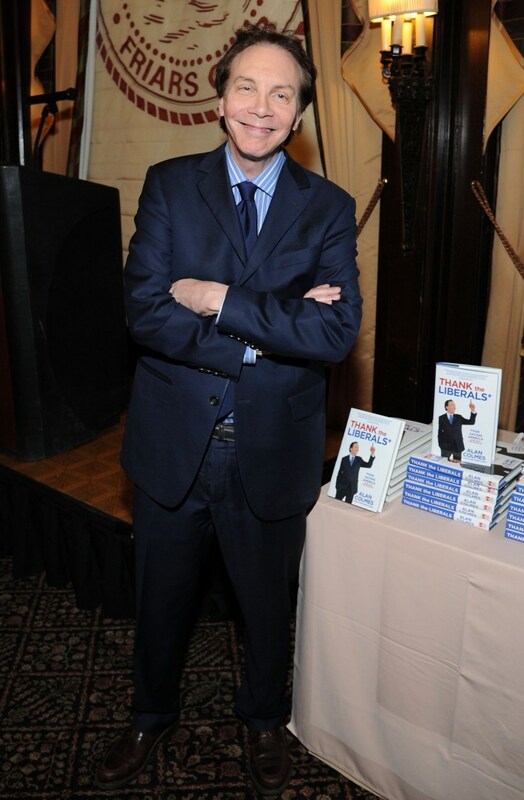 "Heartbroken my friend Alan Colmes has died. He lit up the FNC halls w/his kindness & humor. Incredibly positive force. Prayers 4 his family," she wrote. Colmes continued to appear as a commentator on Fox after his show with Hannity ended. He also was an author of books like "Thank the Liberals" and "Red, White & Liberal."